Some unusually young candidates are making a run for public office in the upcoming municipal elections, touting new ideas and fresh perspectives. But they first have to persuade voters to take them seriously. On a quiet afternoon in Oshawa, Karen Albrecht makes her way down a residential street with a stack of flyers in her hand. Like many council candidates, Albrecht has been door-knocking every day for weeks now, but there are a few details that make her campaign a little bit different. For one thing, the smiling face on her stack of flyers has an unmistakably youthful visage. Her most dedicated volunteer is also her mom. She says it never takes long before potential voters realize they have an unusual candidate on their porch. "I guess they're shocked," said Albrecht, who's running for city councillor in Oshawa's Ward 2. At just 22, Albrecht is among the youngest candidates running in the upcoming municipal elections, though she's far from the youngest person vying for public office. 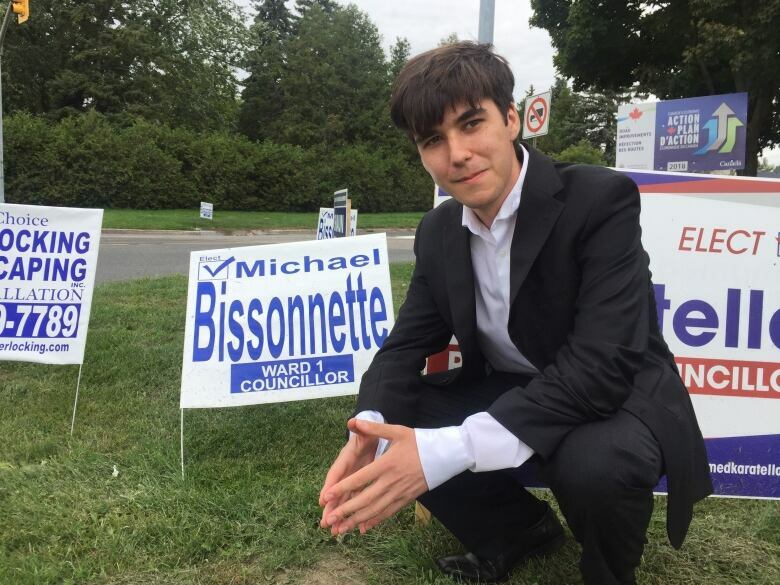 20-year-old Michael Bissonnette has also launched a bid for the Ward 1 council seat in Ajax. In Vaughan, Ward 1 city council candidate Millad Hamidkohzad turned 19 just two weeks ago. 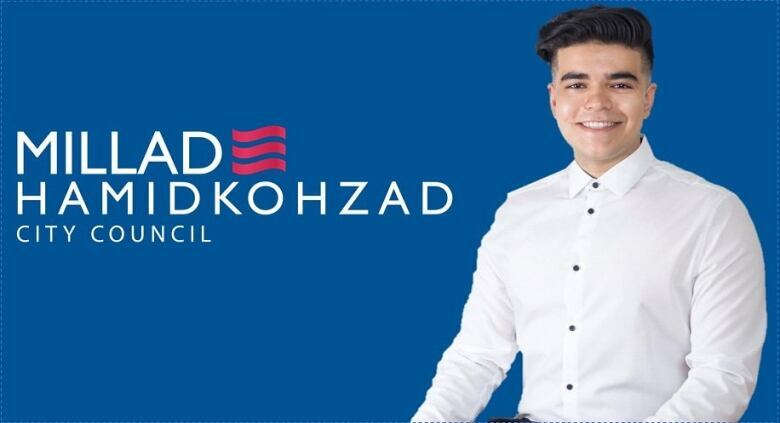 "The idea that I had was that a lot of people would probably ridicule me for my age," said Hamidkohzad, who first decided to run for council when he was in Grade 10, a whopping three years ago. "Growing up, I always watched the news," he added. "Everyone else was watching cartoons, I was more interested in politics." While the GTA's young candidates are running on a diverse range of platforms, they each say municipal governments need to do a better job engaging young people. "There are a lot of students in [Oshawa], but I don't know if they ever really get talked to," said Albrecht, who's also the president of the student association at the nearby Trent University Durham campus. 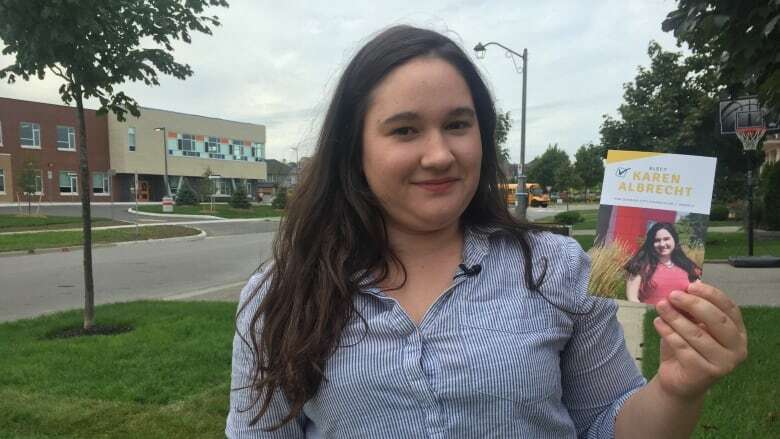 Albrecht clarifies that her platform isn't specifically targeted toward youth, but she says Oshawa's government could do a better job of considering the needs of people in the city. If elected, she's pledging to improve community consultation with people of all ages. Hamidkohzad's perspective skews even younger. He's running on a platform that includes more municipal funding for youth developmental programs, including job training and other initiatives to curb the drug and gun use he's seen first hand. "I'm fresh out of high school," he said. "I feel like I have a better understanding than a lot of these older folks, all these older politicians in municipal government." Bissonnette's campaign is perhaps the most traditional, including pledges to reduce traffic congestion and improve snow removal. Still, he believes his youth gives him a flexibility often lacking in more seasoned politicians. "I'm not necessarily stuck in my ways," he explained. While Bissonnette admits some voters won't consider him due to his age, he says his youth has been a selling point to others. "I am getting quite a few people saying we need young blood, we need the new generation leading this community," he said outside his parents' home, where he still lives. While canvassing outside a nearby gas station and coffee shop, a few voters agreed, saying they'd have no problem casting their ballot for a 20-year-old. Tony Spataro says he'd "absolutely not" be dissuaded by Bissonnette's age. "I think this country needs more youth," he added. In Oshawa, Albrecht also gets a warm reception from a handful of potential voters. "I think that's awesome, for your age, that you're going for council," said Tom Zamanis at his front door. After people overcome the surprise of seeing a 22-year-old candidate, Albrecht says door-knocking greetings are often positive and the discussions quickly turn to her experience and ideas for the community. "It's more about proving myself," she said.